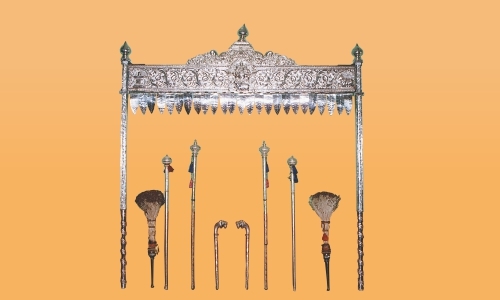 The Suttur Veerasimhasana Mahasamathana Math is a Veerashaiva math, having centuries-old culture and traditions. Building a society with social equality is one of the ethics of this Math and hence is respected by people belonging to all the categories. 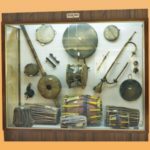 The Math has been guiding the society in all the sectors like literature, culture, spirituality, education, public health, etc. 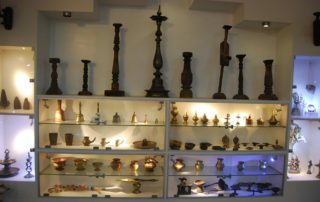 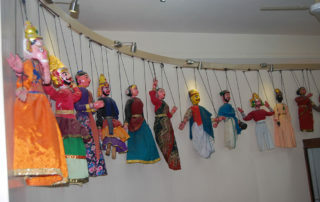 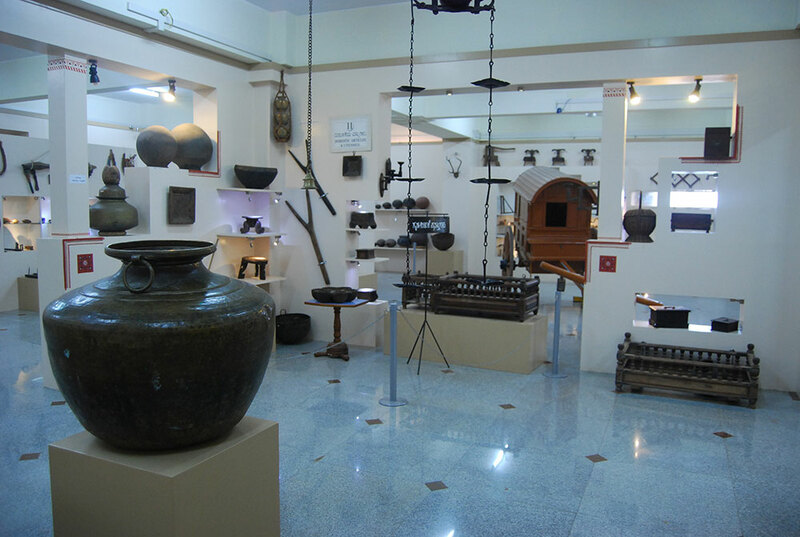 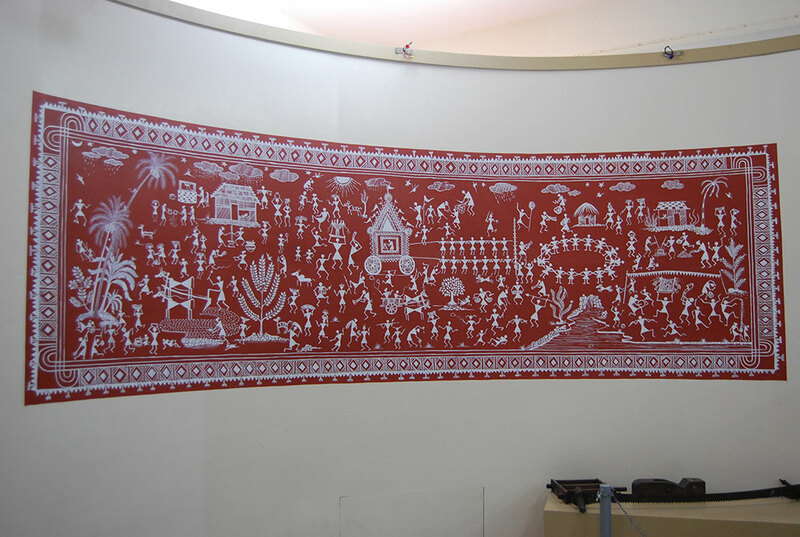 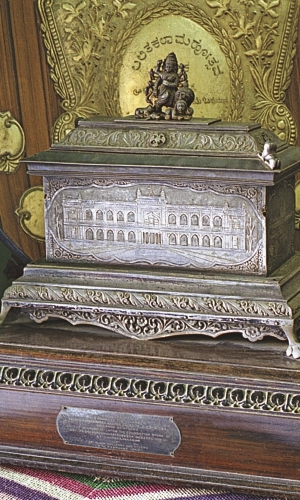 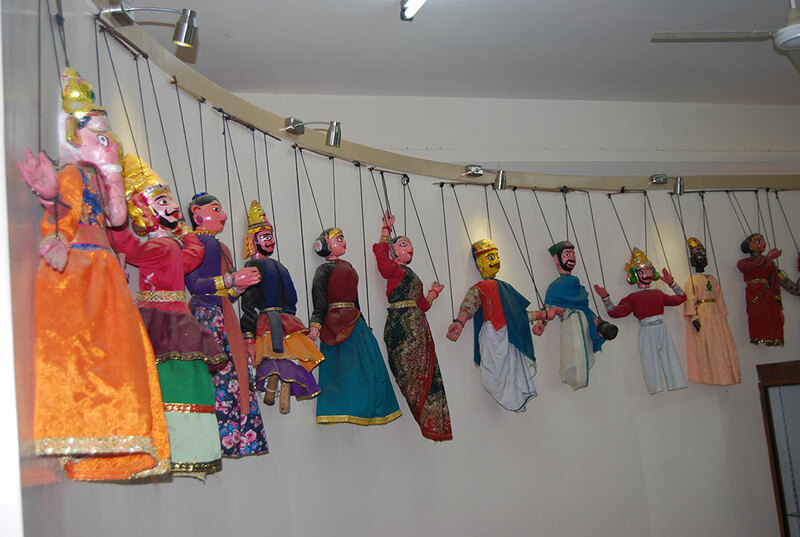 Museums represent India’s history and traditions. 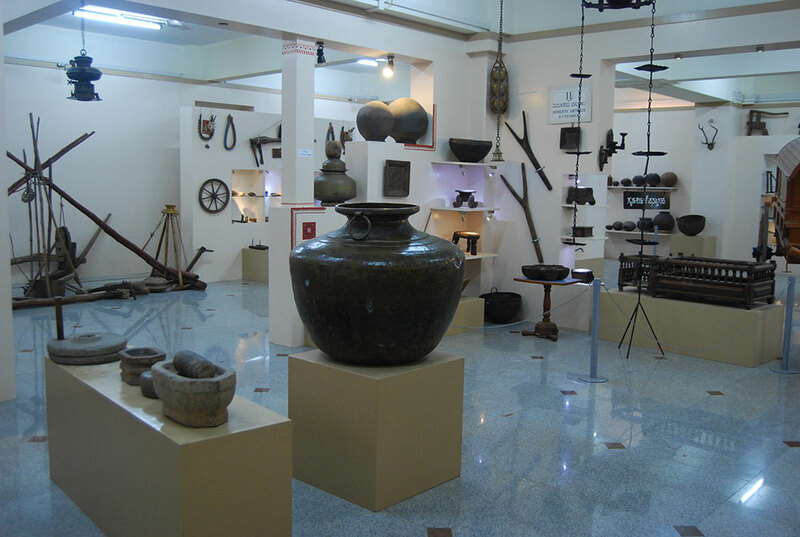 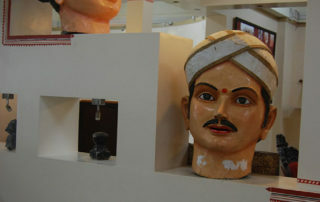 There are many museums in Karnataka. 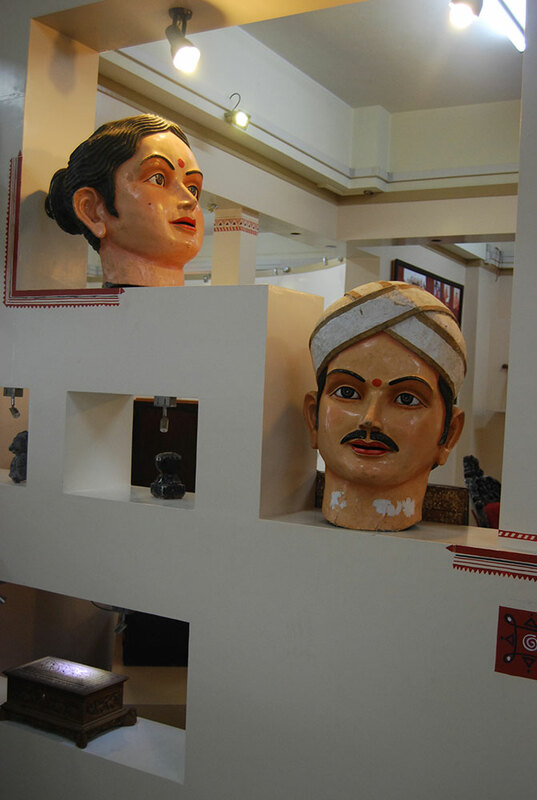 The Museum at Suttur Srikshetra in Nanjangud Taluk of Mysuru District is one of the prominent museums of the State. 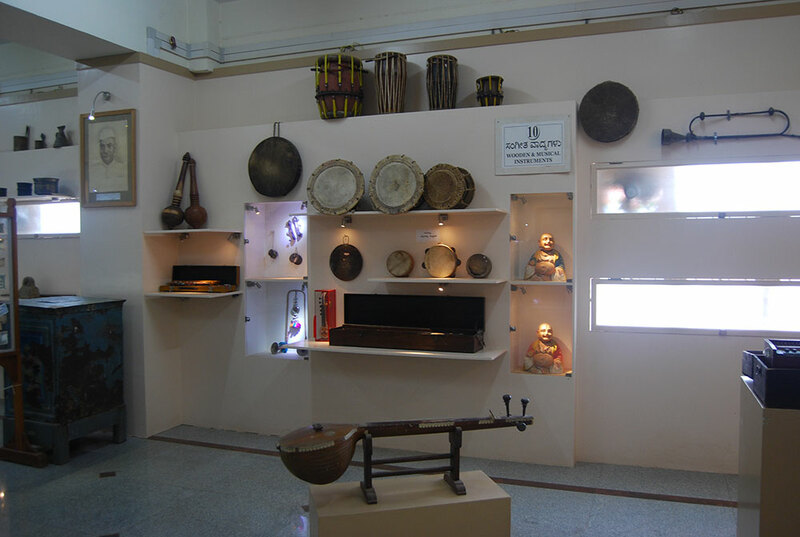 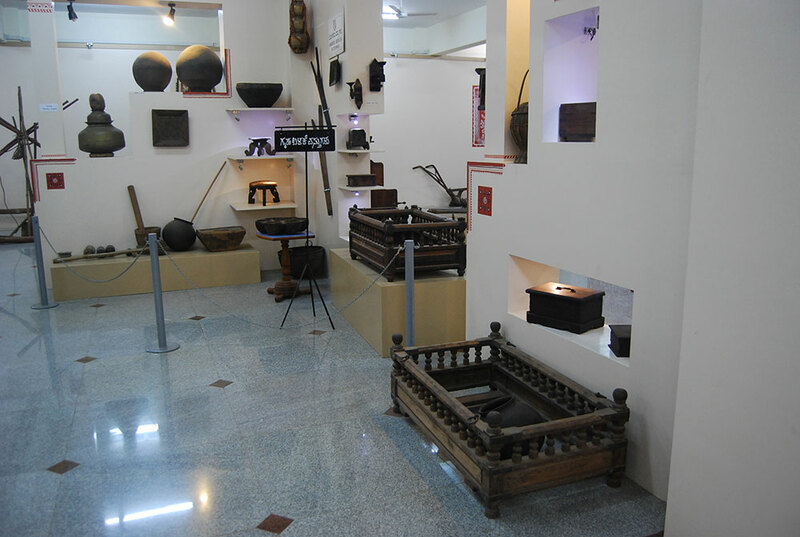 This Museum has been renovated with financial support from the Department of Culture, Govt. 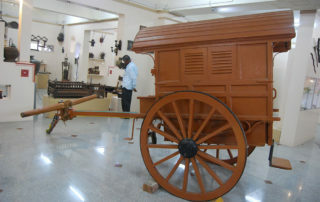 of Karnataka, under the “promotion and strengthening of regional and local museums” programme. 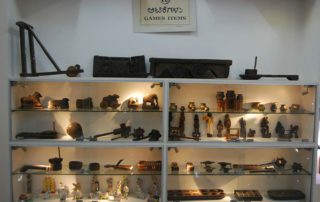 It was established in the year 2000. 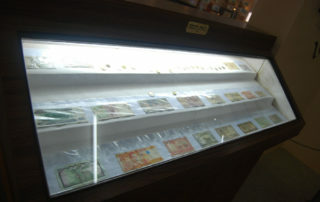 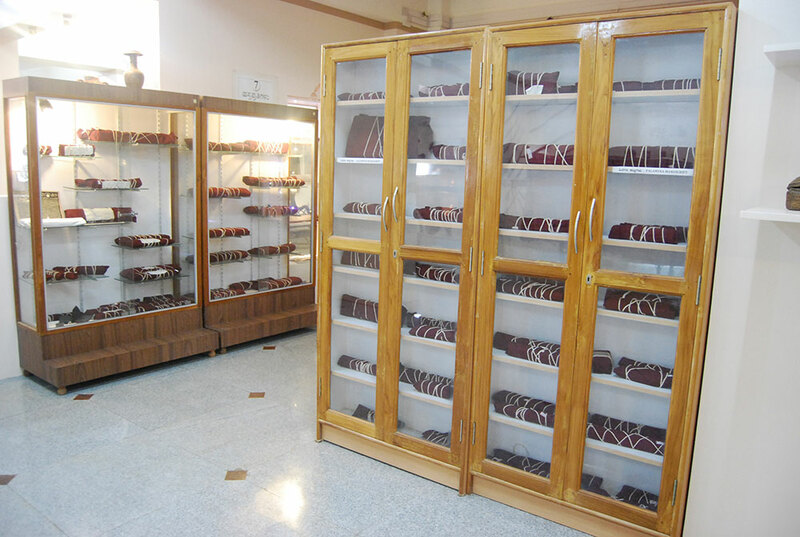 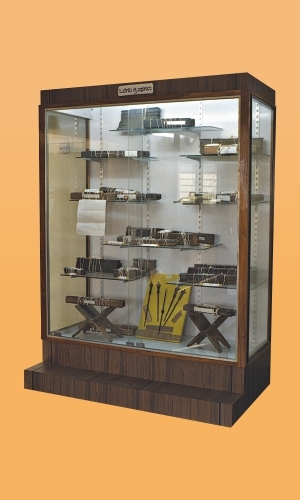 The process of collecting exhibits for this museum is being made since the year 1997. 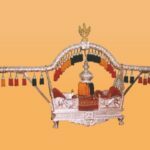 The project was planned during the period of the 23rd pontiff of the Srimath Paramapujya Jagadguru Rajagurutilaka Dr. Sri Shivarthri Rajendra Mahaswamiji. 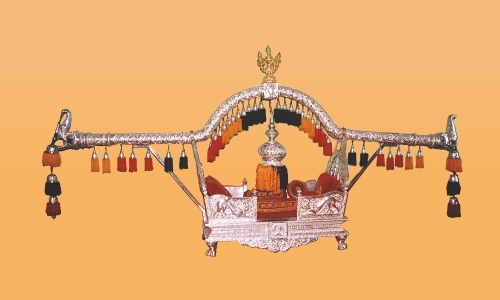 It is being developed and led by the present pontiff Paramapujya Jagadguru Sri Shivarathri Deshikendra Mahaswamiji. 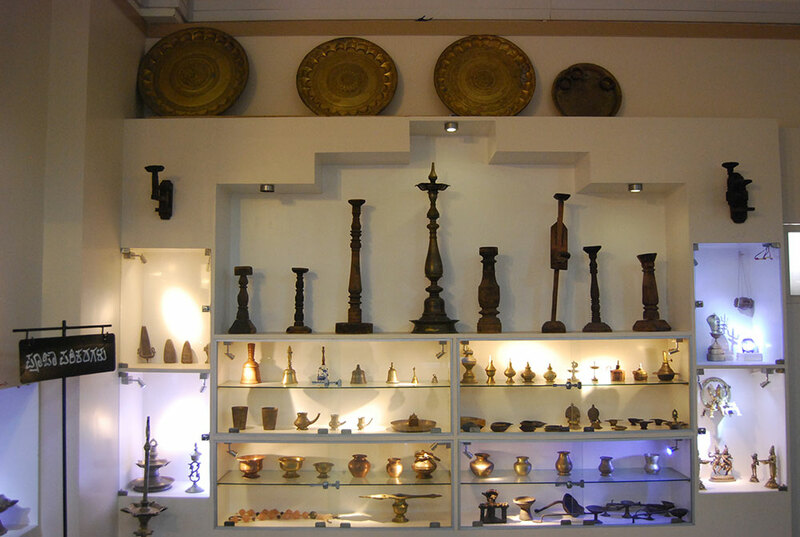 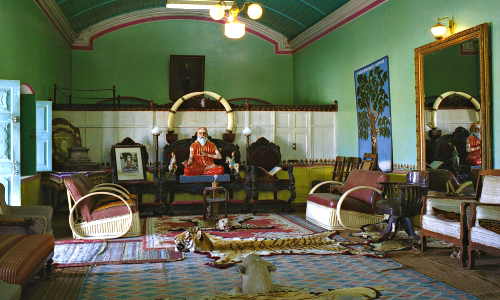 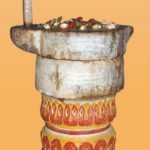 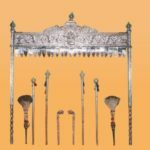 The exhibits of this museum include rare, folk and anthropological artifacts and things of the Guruparampara of the Srimath. 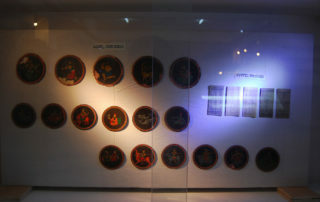 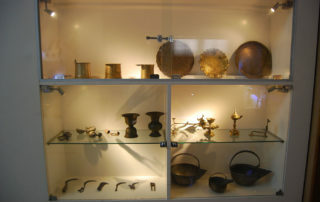 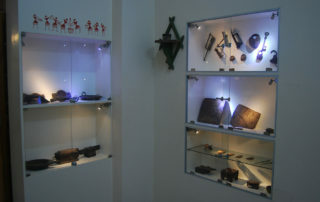 All these have been exhibited in various galleries in the newly renovated museum. 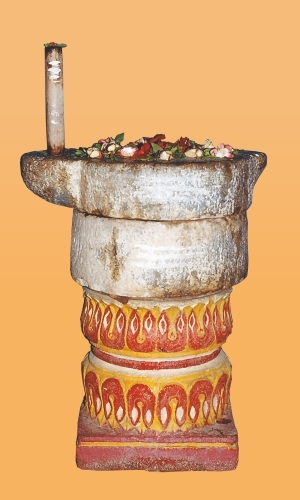 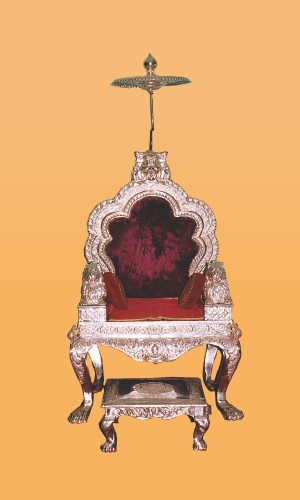 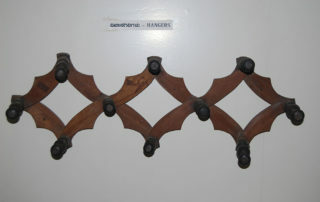 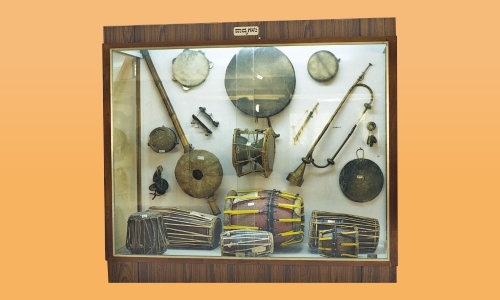 In this category, various things that reflect the Guruparampare of the Srimath have been displayed. 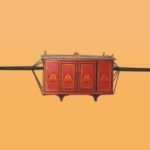 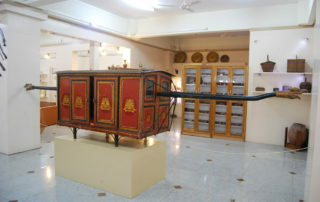 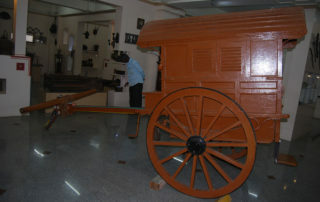 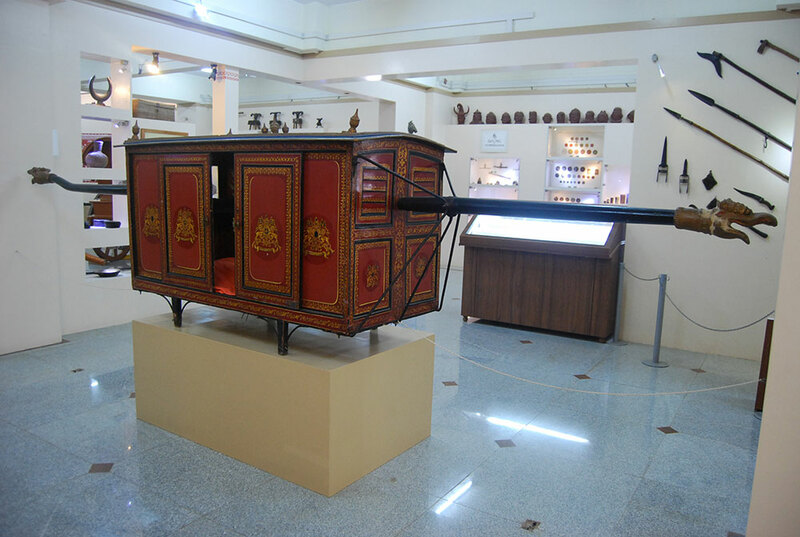 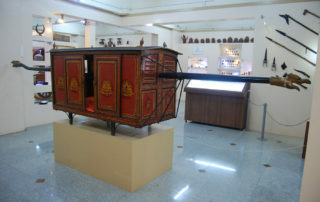 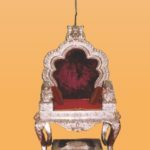 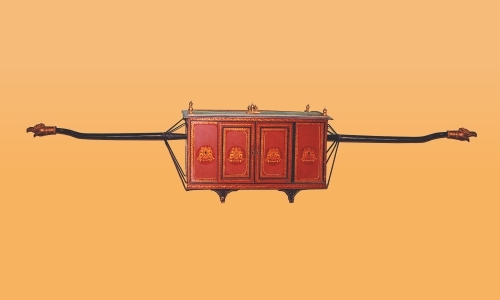 The palanquin (mene) and the cart that was used by the Jagaduguru are the main attractions of this gallery. 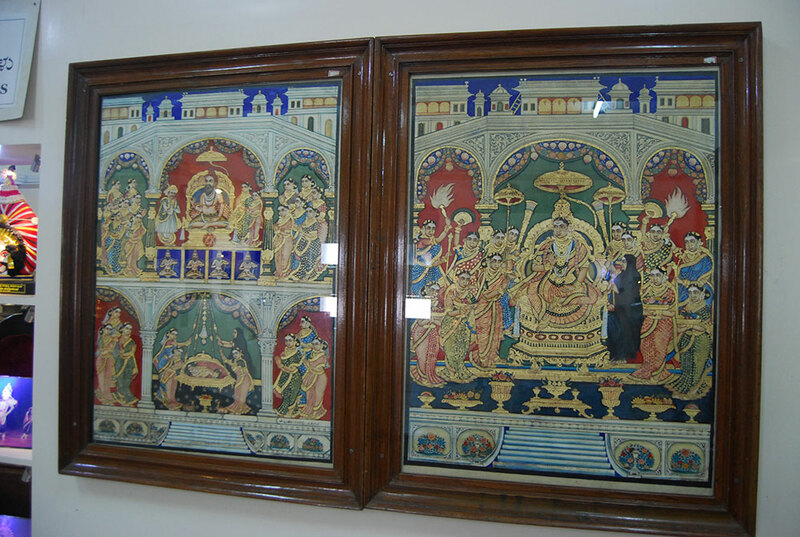 There is a huge collection of sculptures and scriptures related to the Suttur Srimath Guruparampare. 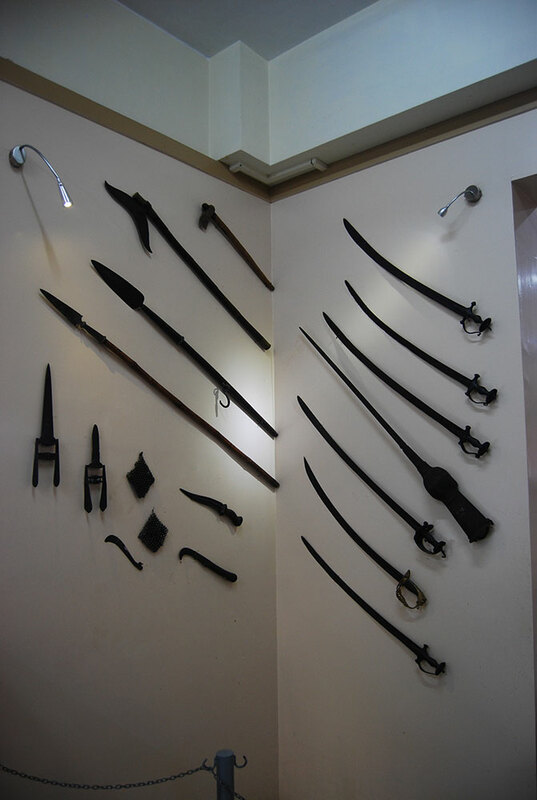 These have great historical value. 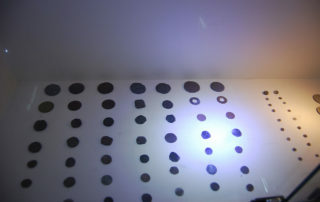 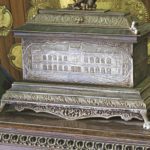 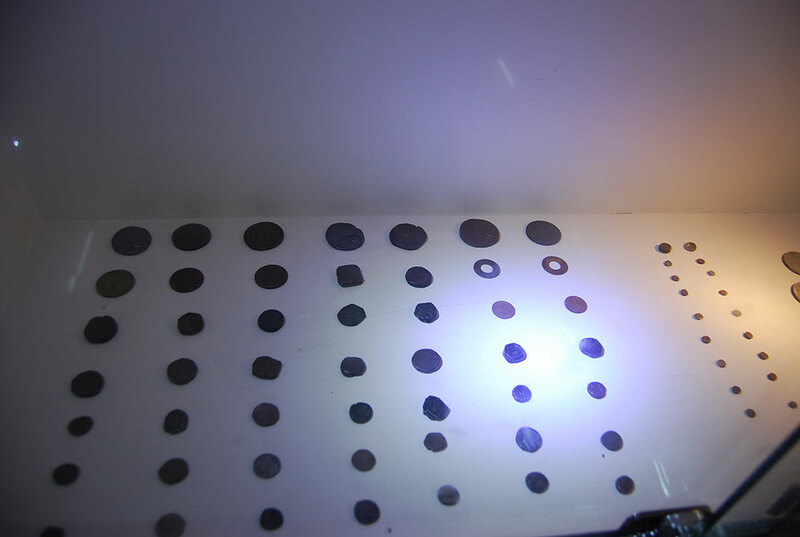 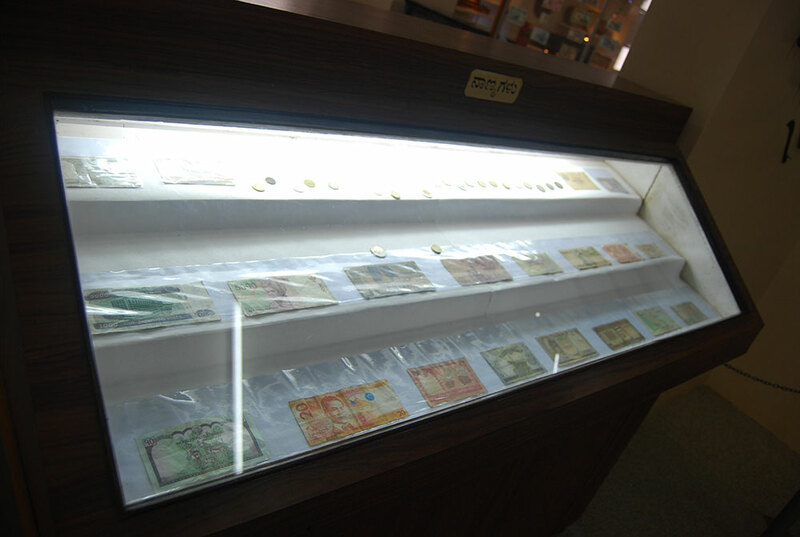 The museum has a collection of ancient coins and measuring instruments, which include coins belonging to the later 19th century and 20th centuries, and foreign currencies. 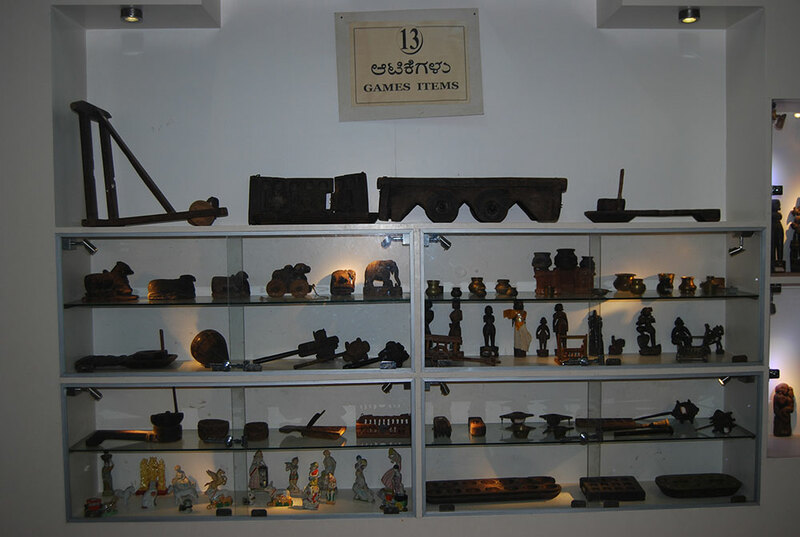 The museum has a collection of rare palm leaf manuscripts and paper manuscripts. 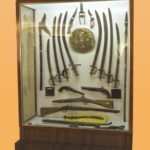 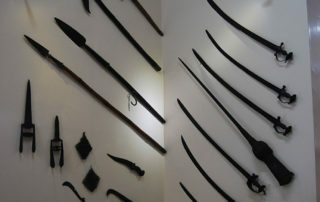 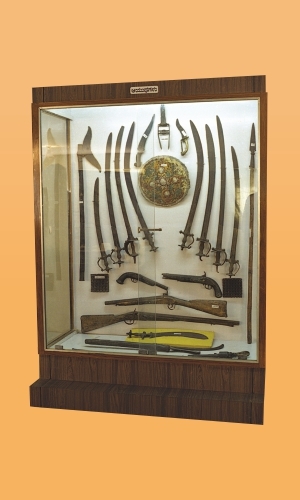 Rifles, pistols, swords and other war weapons have been exhibited in the renovated museum. 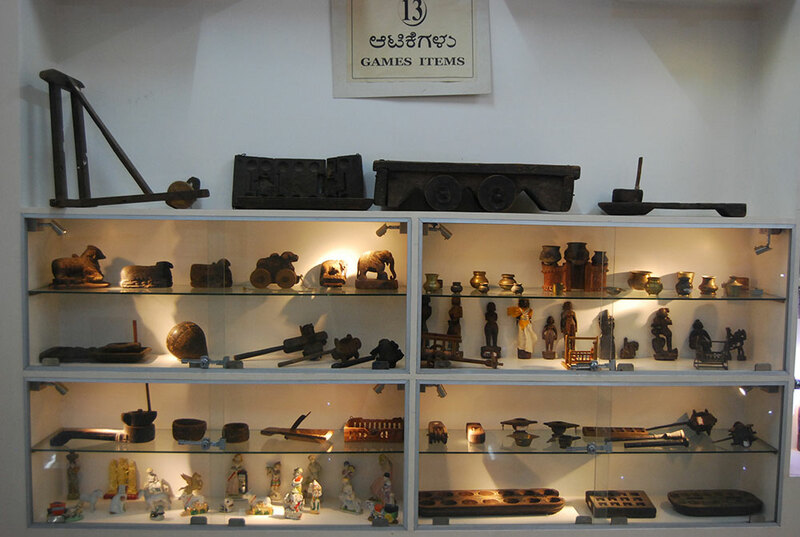 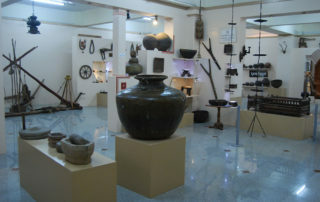 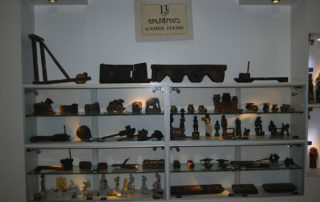 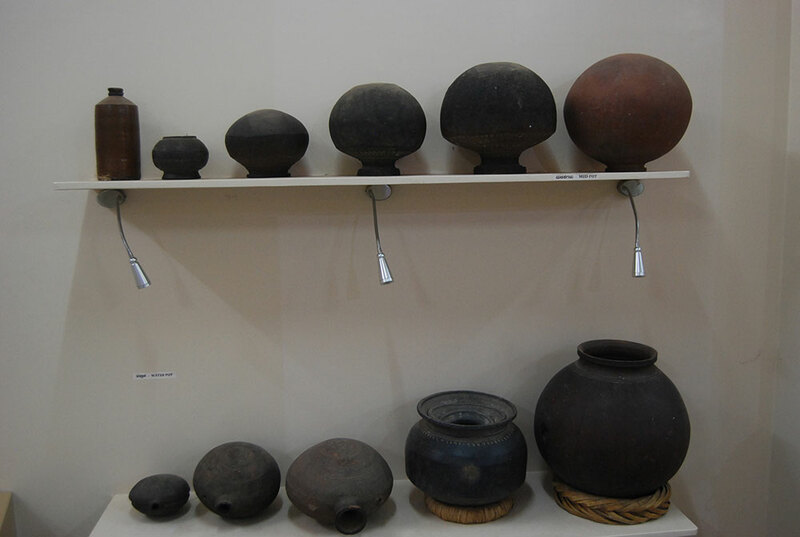 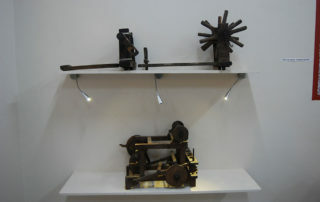 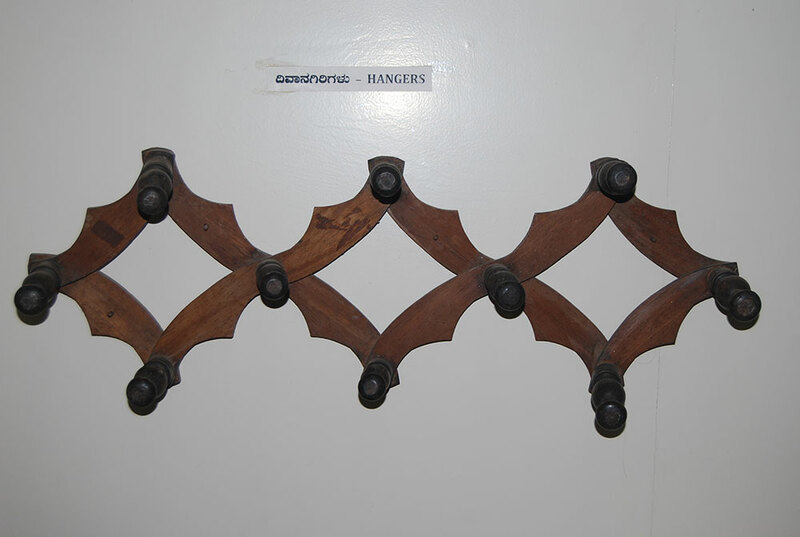 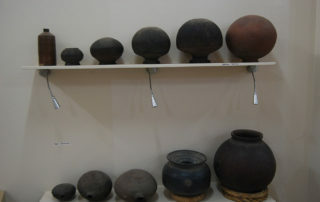 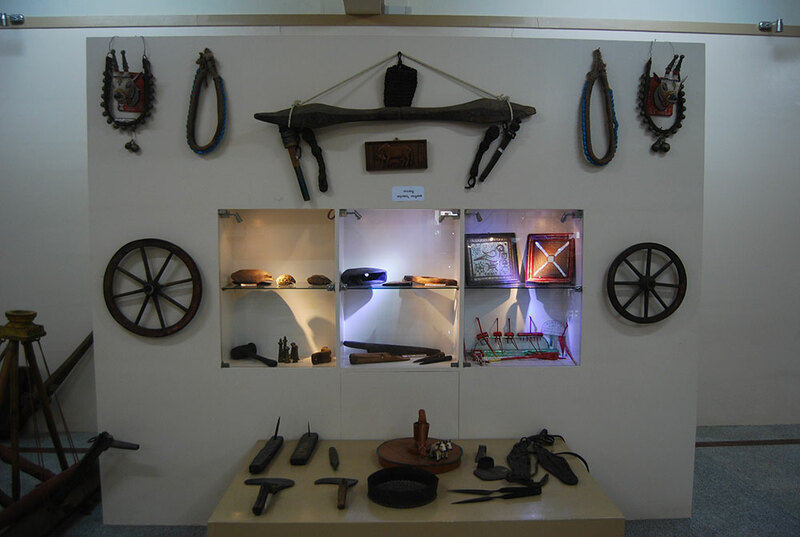 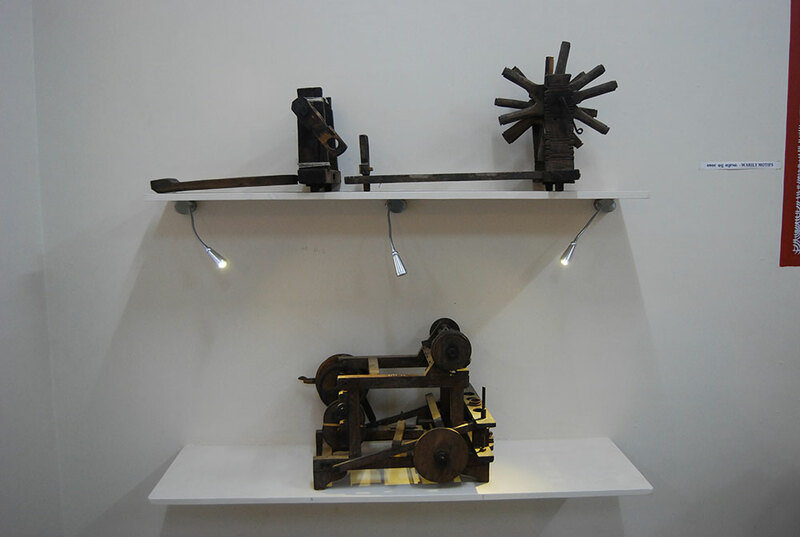 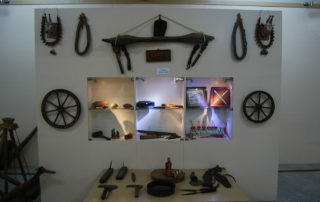 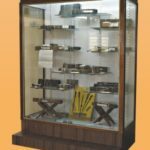 Agricultural implements, household equipment, toys, etc., that were being used by our ancestors have been exhibited here. 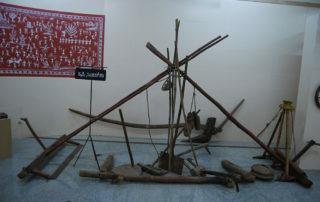 These exhibits not only depict our ancient culture but also provide information regarding our rural traditions and life. The collection also includes musical instruments. 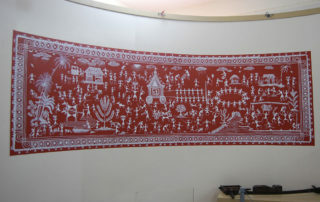 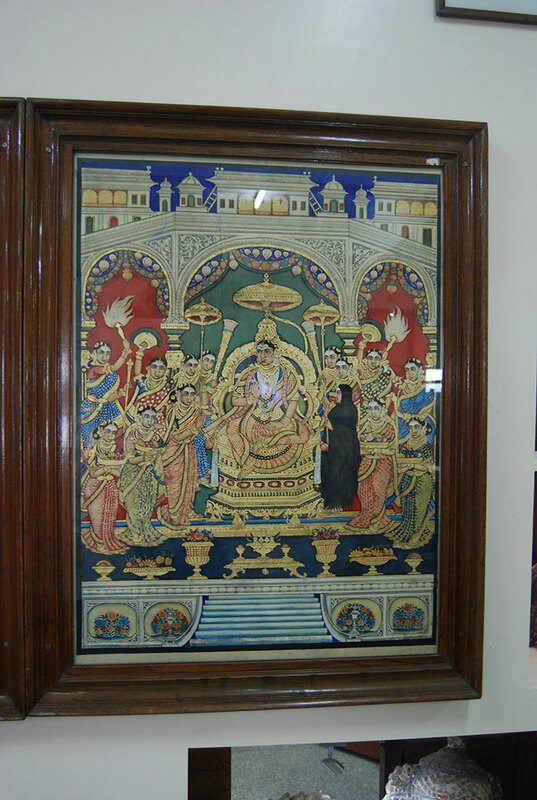 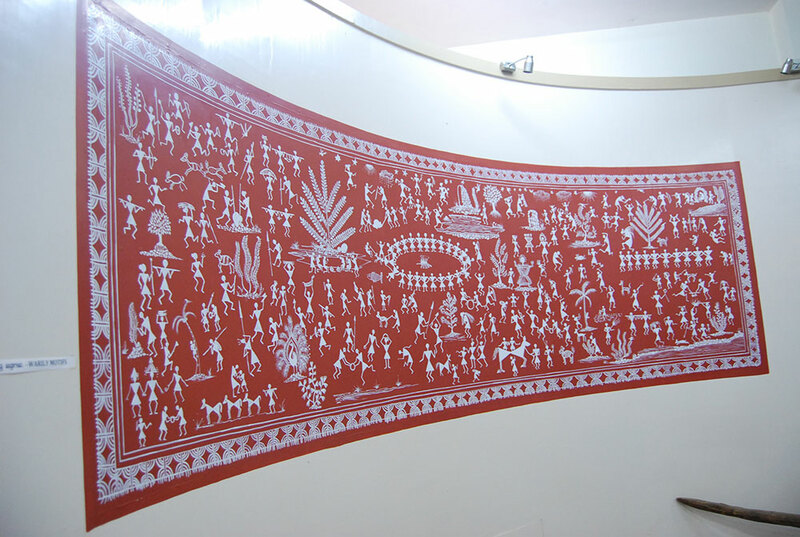 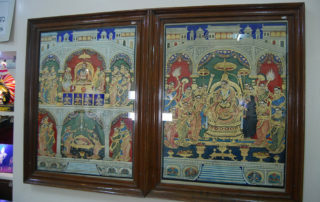 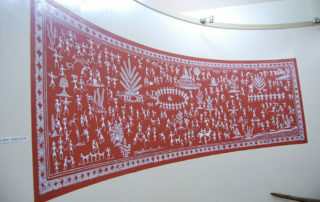 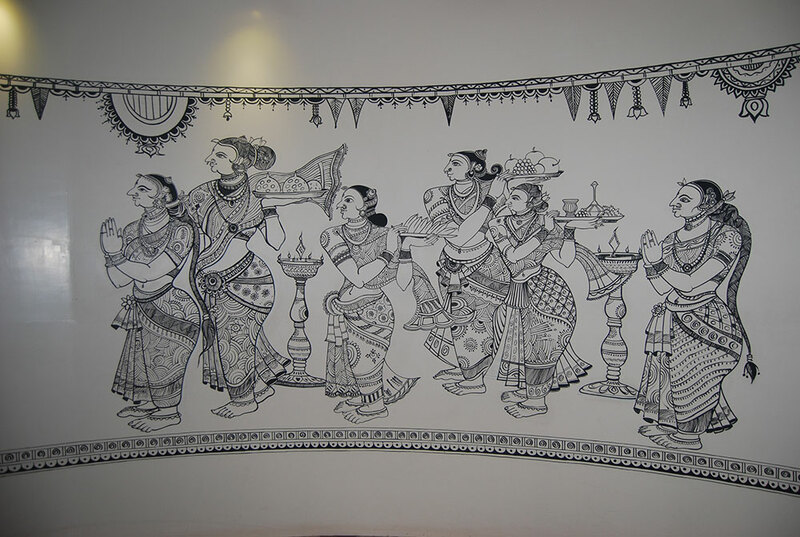 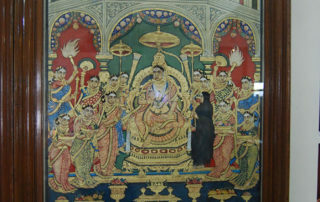 The collection includes Tanjavur and Mysuru style paintings, black and white pictures and Ganjifa drawings. Collect documents pertaining to the exhibits and exhibiting them in the form of pictures.